Hartford estate planning attorneys can help clients to prepare for whatever the future brings. In an ideal world, everyone would live healthily and happily well into retirement. Attorneys at Nirenstein, Horowitz & Associates can help you to plan in case this dream comes true, by working with you to ensure you make the smartest choices about how to invest and protect your retirement nest egg. Unfortunately, many people don’t live in an ideal world and instead they end up suffering at least one serious illness as they get older. Because there is a significant risk that illness or injury could strike at any time, it is vital to work with an experienced attorney to plan ahead in case the worst happens. Nirenstein, Horowitz & Associates can help you to make advanced plans in case of a serious illness so you and your loved ones have the right tools in place to get through a difficult situation. Give us a call today to find out about how an experienced attorney can help you to plan ahead in case you get sick so you and your family will be as protected as possible from the devastating consequences of a serious illness. 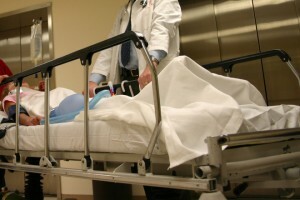 How Can Hartford Estate Planning Attorneys Help You Plan for Illness? Hartford estate planning attorneys can help you to plan for illness by ensuring that you are able to get the medical care you want, decline the care you don’t want, and pay for the costs of a nursing home if your illness makes it impossible for you to live independently. There are many legal tools that you can use to make an incapacity plan, which is the plan that you’ll need to have to protect yourself and your loved ones in the event of a medical emergency. For example, tools like a power of attorney allow you to specify who has authority to make your decisions for you if your illness prevents you from forming or expressing preferences. Tools like advanced directives are also important, as advanced directives let you specify when you want to accept or decline care. An attorney can explain to you what steps you need to plan for serious illness and can help you to determine the right legal tools to utilize based on factors including your family situation and your preferences for care. What if You Don’t Make Advanced Plans? If your illness renders you unable to live independently, you could be forced to spend down your nest egg before Medicaid will pay for nursing home care costs. If you are not able to communicate your wishes on medical decisions, your family could be forced to make difficult choices about whether to deny or approve the use of extraordinary measures to keep you alive. Others making this decision for you may not be in accordance with your values. Your family could be forced to go to court to initiate guardianship proceedings in order to take control over managing your affairs if something happens to you and you can’t act on your own. The court could appoint a guardian for you who isn’t the person you’d have preferred to make decisions on your behalf. These are just some of the many undesirable consequences of not making plans for a serious illness. In some cases, there are also other issues that arise, such as uncertainty over who should care for your minor child if you are so ill that you can no longer serve as the child’s guardian. To find out more about how to avoid both common and uncommon undesirable consequences of failing to make an incapacity plan, you should contact an experienced attorney for help as soon as possible. Hartford estate planning attorneys at Nirenstein, Horowitz & Associates can provide guidance and advice to people of all ages who want to make a plan in case they get sick. Illness could strike anyone at any time, including people who are young and healthy. By the time you are badly sick, it could be too late for you to make the types of plans you need to protect yourself and your loved ones. Don’t wait until you can no longer act to make your incapacity plan. Join us for a free seminar to find out about the process of planning for incapacity or give us a call at 860-548-1000 or contact us online to work with an experienced attorney on making a personalized plan that is right for you and your loved ones.